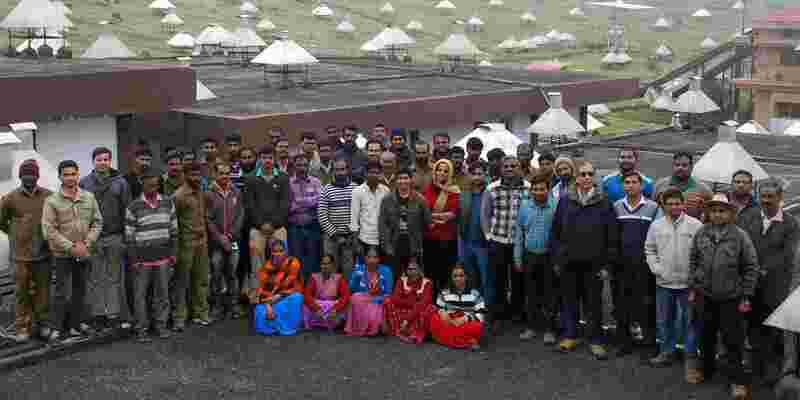 The GRAPES-3 experiment located at Ooty in India started as a collaboration of the Tata Institute of Fundamental Research, Mumbai, India and the Osaka City University, Osaka, Japan. At present many institutions from India and Japan are in collaboration. GRAPES-3 (Gamma Ray Astronomy PeV EnergieS phase-3) is designed to study cosmic rays with an array of air shower detectors and a large area muon detector. 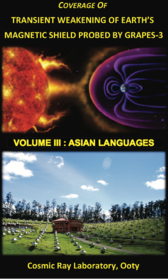 It aims to probe acceleration of cosmic rays in the following four astrophysical settings. These include acceleration of particles to, (i) ~100 MeV in atmospheric electric fields through muons, (ii) ~10 GeV in Solar system through muons, (iii) ~1 PeV in our galaxy through nuclear composition of cosmic rays, (iv) ~100 EeV in nearby universe through measurement of diffuse γ-ray flux. The GRAPES-3 is located at N11.4o, E76.7o, 2200m above mean sea level. 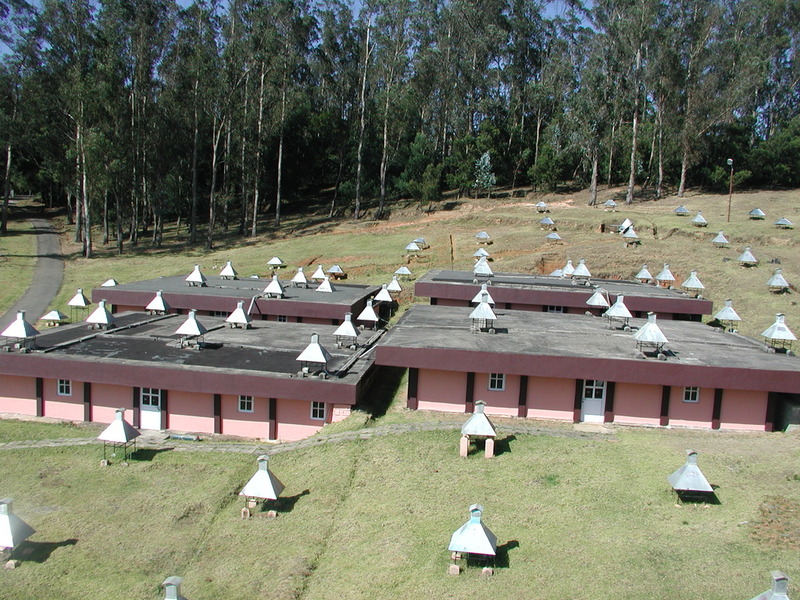 The observations began with 217 plastic scintillators and a 560 m² area muon detector in 2000. 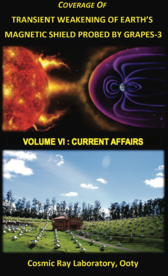 The scintillators detect charged particles contained in extenstive air showers produced by interaction of high energy cosmic rays in the atmosphere. At present the array is operating with ~400 scintillators that are spread over an area of 25,000 m². The energy threshold of muon detectors is 1 GeV. The origin, acceleration and propagation of >1014 eV cosmic rays in the galaxy and beyond. Existence of “Knee” in the energy spectrum of cosmic rays. Production and/or acceleration of highest energy (~1020 eV) cosmic rays in the universe. Astronomy of multi-TeV γ-rays from neutron stars and other compact object. Sun the closest astrophysical object, accelerator of energetic particles and its effects on the Earth.